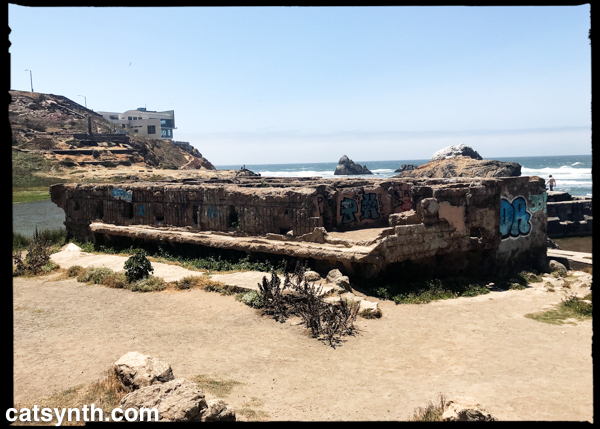 Posted on September 18, 2018 September 18, 2018 by catsynth	This entry was posted in Art, Photography, San Francisco, Wordless Wednesday and tagged Art, cliff house, hipstamatic, lands end, Photography, richmond, ruins, San Francisco, sutro baths, Wordless Wednesday. Bookmark the permalink. Very lovely. I remember going there after my Land’s End Hike. Your pics are wonderful. I think I have been to the Cliff House Restaurant when my mom lived in San Fran….many moons ago.